Will you post pics of of ballast placement setup? ^that better be in a projector housing or i'll flip my wig as I cant stand people who shove HIDs into regular light housings and blind everyone on the road. POSERS! 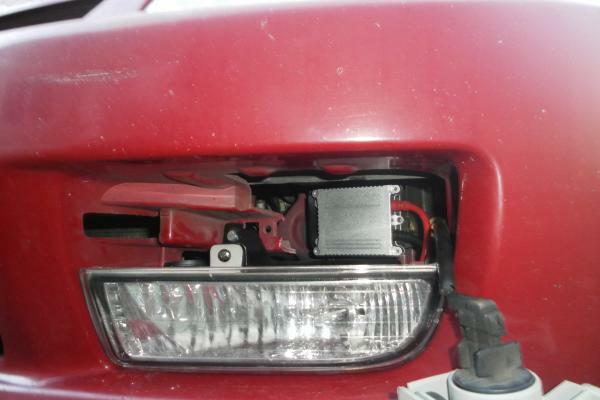 have not gotten projector headlights yet so no HID's in the headlights but here is the placement for my fog light ballasts....this is the driver side and is identical to the passenger side. I have been wanting to do this my self. What is the best hids to run in oem fogs with doing any damage to the fog light housing. I have some spare hids from my old headlights would those work? they should work fine....havent had any problems with heat or melting. LOVE the way they look, now i just need some projector headlights with HID's! I personally use tape similar to double sided tape, but it has adhesive on one side and velcro on the other, that pretty much allows you to mount the ballast where ever you want. Finding random holes to mount the ballast to can be impossible sometimes. ^yup....i used 3m double sided tape...worked great. Man, no you won't. 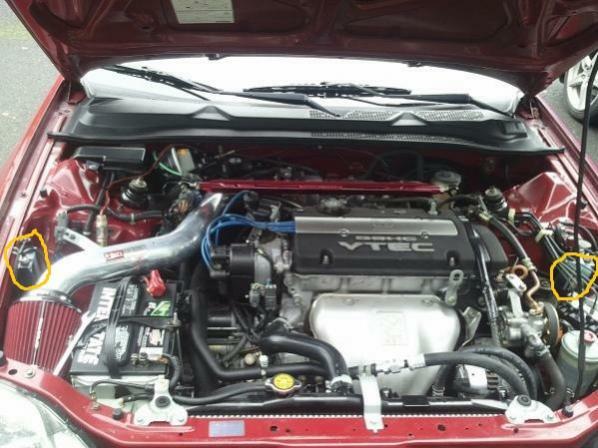 I do however agree with said posers that put 45000k on a Hyundai accent. Sorry Elliot, got no prelude to demonstrate. I do hover use 3m Velcro tape, the 2+ inches wide to mount the ballasts. Or Tie-wrap the ballast to some wires or hoses. To save you guys some trouble, if you buy the kits where you can open the ballast, take a small tube of RTV all weather silicone and make a seal. The HID companies cheap out nowadays. I have the headlight ballasts tucked under the headlights while the ballasts for the fogs are strapped to the side walls of the bumper support beam!! If you really want to see a pic then lemme know bc I dont have one and too cold to go out and snap a pic!! LMFAO!! Head light ones are mounted like so do not have fogs yet but will be adding soon. It's not posing if I angle them down and still don't care if I piss people off. Guilty When I first installed them I wasn't sure if I had angled them down enough so I drove it around for a few nights to see if it would be problematic or not. I had one guy screaming and cursing at me because I guess my lights were melting his face or something. I went ahead and blocked him from being able to merge over so that he ended up missing his exit. Saved him the trouble of having to deal with my lights for the rest of his drive home (which would surely take at least an extra 15 minutes in traffic). 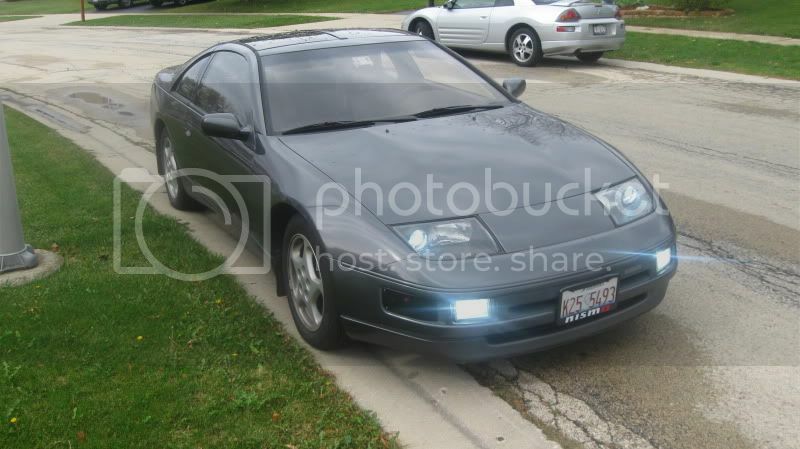 What is the best hids to use in a 5th gen oem fog lights? 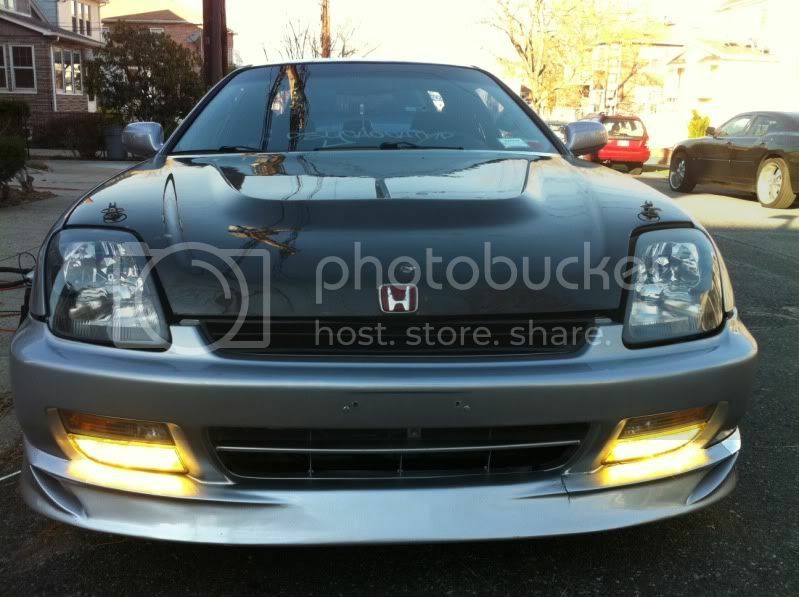 I use 35W 8000K HID in my depo heads and 55W 3000K HID in my fogs covered with yellow Lamin-X! 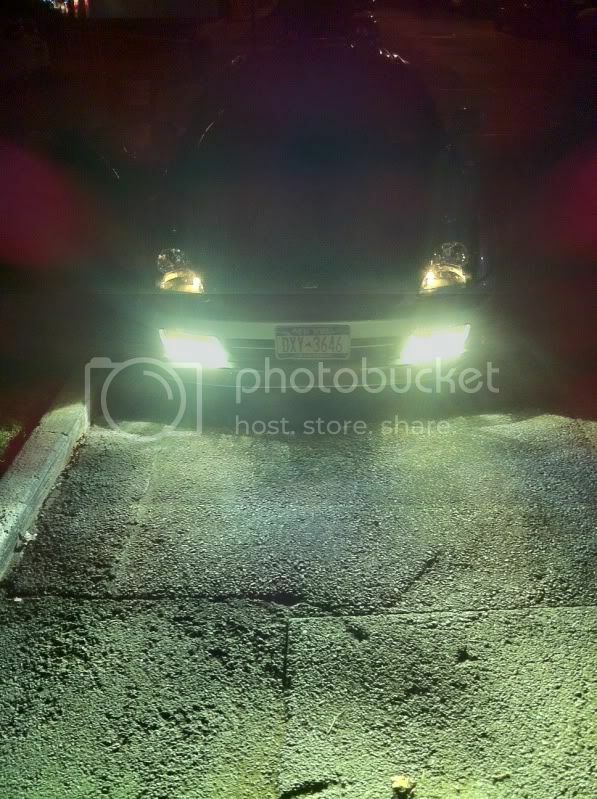 I upped the Watts in my fogs bc it wont blind ppl that low and it helps to shine the ground as well as using the 35W in the depos to not blind ppl as mentioned above. In the link it's my fogs with 55W 3000K.